Tonight the Bulls hit the road to visit the San Antonio Spurs to close out the season series between the two teams. The Spurs won the first game, 87-77, at the United Center. San Antonio’s LaMarcus Aldridge led all scorers with 28 points. 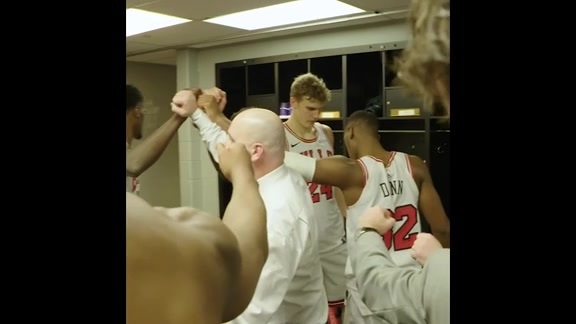 The Bulls put up a tough fight of their own, led by center Robin Lopez’s 16 points, while rookie Lauri Markkanen notched the first double-double of his career with 13 points and 12 rebounds. If you could ever characterized a team as textbook, it would be the Spurs. Under the direction of one of the NBA’s all-time greatest head coaches, Gregg Popovich, San Antonio has arguably been the most fundamentally sound team in the league for the past 20+ years. The Spurs always play the right way, in that the ball freely moves from player-to-player and from side-to-side with purpose. Very rarely do you ever see anyone in a San Antonio uniform go one-on-one against a defender as the team’s mantra has always been to never shy away from making the extra pass to get a better shot. Defensively San Antonio is also regularly at the top of the league. They relentlessly pressure the ball and make opponents work hard for every point. Although many of their players are not personally considered shut-down defenders, they all are quite crafty when it comes to team defense. Without a doubt the rebuilding Bulls are in for a very tough challenge this evening. Not only are they going up against one of the NBA’s finest teams, but tonight’s contest is also the last leg of a back-to-back set of games as Chicago took on the Indiana Pacers last night at the United Center and then had to fly late into the night to get to the Alamo City. Offensively the Bulls will need to mirror much of the Spurs’ game plan by playing fast and freely distributing the ball. Chicago will need to spread shooters all around the arc to uncover potential cracks in San Antonio’s defense, and point guards Jerian Grant, Kris Dunn and possibly Kay Felder will have to fearlessly and persistently look to attack the paint and either go directly to the rim and finish their shot or if the defense closes in, pass the ball out to an open teammate out on the wing. The most successful teams are the ones that best exploit mismatches and consistently execute responsibilities. 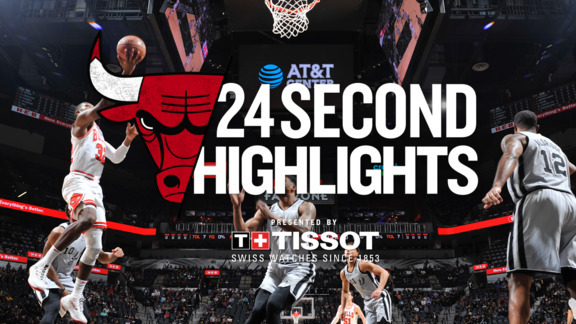 It’s really not rocket science – in order to come out on top the Bulls are going to need to hit their shots and they’re going to need to outwork and outhustle San Antonio at both ends of the floor. Chicago’s roster is stuffed with youth and athleticism. San Antonio’s is loaded with highly experienced veterans who rarely get rattled when a game is on the line. As a general rule, the Bulls would like to attempt between 87 to 90 shots a night. As part of those attempts they need to launch around 34 or more from beyond the arc. Thus the majority of the Bulls’ shot attempts should come from inside the paint and no more than 15-17 feet from the rim. Defensively, Chicago will need to stay tied together in order to make it tough for the Spurs to get open looks at the basket. Coming into this weekend the Bulls lead the NBA in rebounding, grabbing 48.0 boards per game overall, and they rank 9th on the offensive glass, grabbing 10.7 miscues a game. If they can take command the boards, especially so on the offensive end, the Bulls should give themselves fighting chance to pull off an upset.